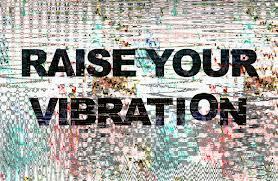 Raising your energy vibration and consciousness is very important in these shifting and changing times. This is even more important in the times ahead as a lot of cleansing and releasing will be coming for the collective consciousness. At any given point in the NOW, your energy vibration is always based on how you feel. Your emotions always reflect your thoughts and if your thoughts cause you to feel good emotionally, then you are in a high vibration energetically. So always have positive thoughts. Fill your heart with happiness, joy and laughter by raising your energy vibration. Do what puts a smile on your face and what makes you feel good about yourself. Stay away from things that make you feel bad about yourself. It really is that simple. There are so many different things that you can do to help raise your energy frequency and vibration. The bottom line is that you need to do what makes you feel good. If you are sad, upset, mad, or depressed, then this is a low vibrational frequency. It is up to you to raise it. Do not blame others for putting you in this lower vibrational state. You are creators of your world. If someone or something is causing you to feel bad emotionally or is upsetting you, YOU need to make the change in your life. If you do not, you are giving them your power and now you are being controlled by them. The time for separation and control are coming to an end. You decide how you want to live, nobody else! The time to stand in your light is now. You are in charge. And if you are in charge, and if your emotions reflect your thoughts, which they do, then you are the one that causes yourself to feel good or bad emotionally, nobody else. So what thoughts will you have, good ones or bad ones? What emotions will you have, good ones or bad ones? You are in charge. Nobody can tell you or force you how to feel. And if someone makes you feel bad, it is time to reassess your situation with respect to that person. It may be better to love them from a distance. You are now going to be resonating people in your life that have your light resonance. If your light is a higher resonance than someone else’s, you may see this person dropping out of your life. That is OK.
You cannot afford to have a negative though or have negative vibrations at these times. You must stay in a high vibration given the higher energies that are coming in. Just do what makes you feel good. Just do what puts a smile on your face, what makes you laugh. Laughter is so important to raising your vibration. The more you laugh the better. Find a way to dedicate yourself to happiness. Happiness is not given to you. Happiness comes from within. Be around happy, smiling, friendly people and watch your vibrations rise. It really is that easy. Any ending is really just the beginning. Do not be afraid of endings, even if this involves relationships that do not resonate with you. So continue to raise your consciousness level and watch your life change for the better. Create your happy filled life. You will feel better and you will literally create your own happiness, which will be your own heaven on Earth! My friend, You are an incredible PURE soul in service to ALL. I wish the world would have more people like You. Be blessed, and continue spreading Love and Joy to the world! This entry was posted on May 11, 2013 by Andrew Bojarski in Andrew's Posts, My Higher Self Posts and tagged Arch Angels, Ascended Masters, Ascension, Awakening, Chakras, Channeling, Energy, Energy Healing, Healing, Higher Self, Love, Meditation, Spirituality.